So guess who should be appointed to the Homeland Security Advisory Council? You guessed it: Dearborn Police Chief Ronald Haddad. DEARBORN -- Police Chief Ronald Haddad was recently appointed to serve on the Homeland Security Advisory Council, which provides advice and recommendations to Homeland Security Secretary Janet Napolitano on matters related to homeland security. In addition to Haddad, the group currently has more than two-dozen individuals listed on its membership roster, including Maryland Gov. Martin O’Malley, Austin Police Chief Art Acevedo, Community Engagement Officer Omar Alomari with Ohio Homeland Security, Acting Professor of Law Asli Bali of the UCLA School of Law, President and CEO Richard Cohen of Southern Poverty Law Center, Sheriff Doug Gillespie of the Las Vegas Police Department, Senior Analyst and Executive Director Dalia Mogahed of the Gallup Center for Muslim Studies, Executive Director Dan Rosenblatt of the International Association of Chiefs of Police, and Director Nadia Roumani of the American Muslim Civic Leadership Institute. “We’re engaging the community in a way that’s never been done before,” Haddad said. Read more. Well, Christians have been persecuted by Muslims for centuries, so Haddad's not actually engaging the community in a new way. Perhaps he means that he's engaging the American community in a new way, e.g. by taking away the Constitutional rights of Christians. But he needs to be clear about that. People might get the idea that he believes in American values. Hey brothers, many of us are watching and praying over this situation. 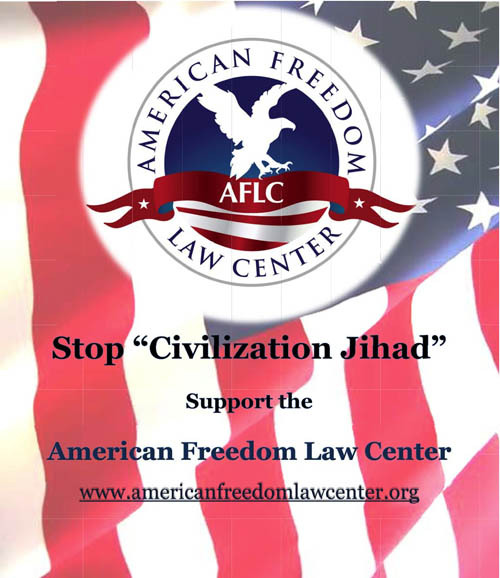 I personally have emailed the mayor of Dearborn and encouraged him to uphold the constitution and protect your liberty and property. May the Lord Jesus give a good outcome and give you faith and courage to stand for the Gospel. Unbelievable, David. Simply unbelievable. After the way you guys were treated in Dearborn, I feel like a Jew might feel if Adolf Hitler were selected to an advisory council for stopping anti-semitism. 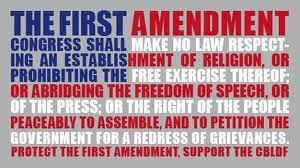 Here's hoping that someone in government gets some sense sometime soon, and realizes that this squelching of free speech is not only anti-constitution, but immoral. I also wrote to the Mayor and Chief of Police of Dearborn. Lets all remember to keep the Gospel squarely in focus and remember to always have in mind to glorify Jesus Christ in all our actions. Our focus is not Christian Civil Rights, it is the Gospel alone. The United States is done like a dinner. The inmates are in charge of the asylum. Wow, this is like a drug dealer becoming the chief police of narcotics. I see nothing wrong in what Acts 17 did at all. What law have they broken; anyone? Since when were Christians not allowed to speak to Muslims about God? Since i'm on this mini-rant: Having a camera is against the law now is it? Acts 17 used wisdom based upon past experience at the festival. What's up with your site guys? For the past few days its been acting up. Or is it just me, not being so techy-minded? @ThriCeSLewis - Brian, you're so full of crap your eyes are brown. But it's always good to hear from the sanctimonious, self-righteous know-it-alls of your "denomination". Read from God's only Holy Word: The Bible - instead of spending so much time in the Qur'an and in "The Reliance of the Traveler" - and you will see that the GREATEST commandment actually reads something like this: "SHEMA, ISRAEL! The Lord your God is ONE God and is GOD ALONE and you shall LOVE the LORD Your God with all your heart, soul, mind and strength" (implying a love relationship, FIRST, with Adonai Yahweh). And, if you would just read further in God's Only Holy Word, you would find the Christ of the Only Living God saying something like: "And the second greatest commandment is 'You shall love your neighbor as yourself' (implying a love relationship with those around us). On these hang the law and all the prophets". What David, Nabeel, Negeen and others have done is the most loving, gracious, generous, caring and humble thing any human being could have done for any other human beings: they have alerted the world community to the encroachment and corruption of the filth of Islam while calling the lost in Islam to come to Christ Jesus. (Loving Muslims enough to call them OUT of the nightmare of Islam is THE MOST GRACIOUS behavior that can be demonstrated to a Muslim.) AND David's whole team have also offered themselves - in love, prayer and in hope - as a living sacrifice to the Only Living God in Christ Jesus. They have fulfilled the first and second commandments while you pontificate from your ivory tower. WAKE UP! Nobody here is trying to silence you. This is not my blog but PLEASE use some of the energy you're expending trying to "bring David down a peg" on behalf of actually becoming the hands and feet of Jesus Christ. Would to Heaven that we could have ten-THOUSAND Davids, Nabeels and Negeens with teams to accompany them all. The hour is LATE and the night is coming. Brian, GET TO WORK for Christ Jesus while you still can - or do you worship "ullah" instead? To Nabeel/David is there a place on this blog or Acts 17 site where i can ask you guys questions/engage in discussions that are not necessarily based on a specific topic. Could i maybe suggest adding a seperate thread for this purpose ie a general comments thread? I have tried the email link but it doesn't work, and i'm not sure of the reason why? To Nabeel I'm in my final year of medical school and a few years ago by "chance" i attended a talk by a christian apologist about islam. Since then i've done quite a bit of reading about islam and i'm very interested in the kind of work you guys are doing. Can you give me any advice? how were you and or david led to do this work amongst muslims? was it purely your own conversion that you to this work? how do i know if God is leading me to work with Muslims aswell? ie a calling? Could you perhaps also put a belief statement on your site, Acts 17 or this blog, because there are many different Christian denominations out there and i believe it is important, especially in the times that we are living in, that we know who we are dealing with. I myself do not ascribe to a particular denomination but follow God and his Word, although my church does fall under a denomination. I was going to try and write a comment explaining that having the police chief of a community where there is a significant minority of Muslims on a Homeland Security committee might be a good thing. But then I realized there was nothing, absolutely nothing, I could say that would dissuade you from your belief that this is a bad thing. That's because in your minds you're already convinced that if you scratch any American Muslim hard enough, you'll find the same sort of murderous thuggery that caused 9/11. Combine that with the idea that Muslims must be preached at "by any means necessary" and you get the toxic witches' brew seen here in the comments on this blog. 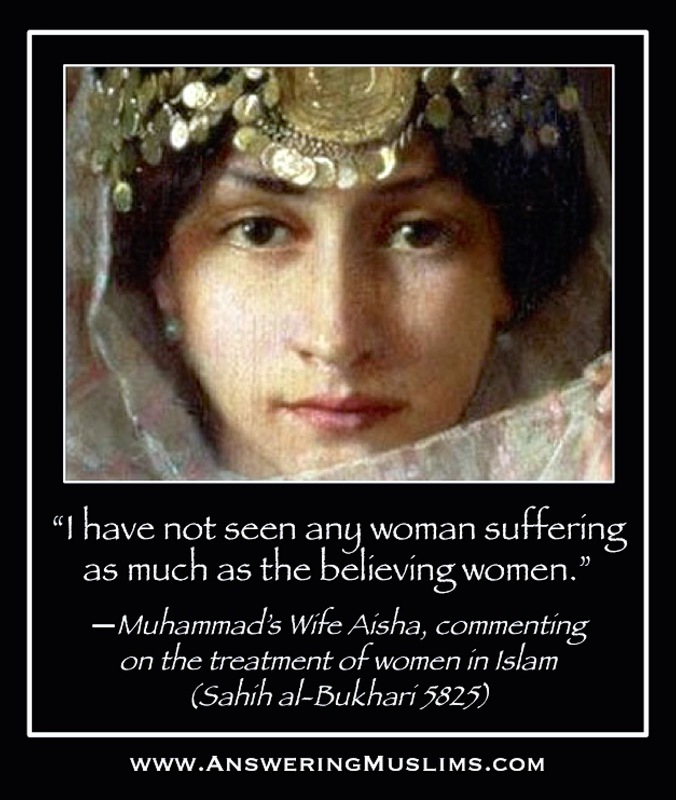 In the face of that kind of thinking, there's nothing Muslims (or any other people of good will) can say. Nothing at all. All that can be done is to watch carefully for signs that the stated desire to convert Muslims to Jesus (and eliminate the "Muslim threat" in that manner) doesn't turn into "get rid of the Muslims (by any means necessary)." In conclusion, I think that you all believe the only good thing that could happen to Chief Haddad is not that he be appointed to a Homeland Security commission. Rather, I suspect you'd prefer that the whole apparatus of Homeland Security should be brought to bear down on Dearborn to make life hard on the Muslim residents through a repressive security regime in the name of alleged "Homeland Security." So much for the Constitution. "Rather, I suspect you'd prefer that the whole apparatus of Homeland Security should be brought to bear down on Dearborn to make life hard on the Muslim residents through a repressive security regime in the name of alleged "Homeland Security."" Oh no! She's on to us! Quick guys, let's get on the shadowy hooded robes and Gothic staves and imprison her beneath the cathedral, lest word of our insidious desires leaks out! She must have been using some sort of witchery to divine our secret motives... does anyone have a spare copy of Malleus Maleficarum lying around? I leant mine out. Chief Haddad I am sure you are well aware of your own state laws! 764.1e Complaint signed by peace officer; statement; making materially false statement in complaint as perjury; penalty; contempt of court. (1) For purposes of sections 1a to 1d of this chapter, a complaint signed by a peace officer shall be treated as made under oath if the offense alleged in the complaint is a misdemeanor or ordinance violation for which the maximum permissible penalty does not exceed 93 days in jail or a fine, or both, that was committed in the signing officer's presence. (2) A peace officer who, knowing the statement is false, makes a materially false statement in a complaint signed under subsection (1) is guilty of perjury, a felony punishable by imprisonment for not more than 15 years, and in addition, is in contempt of court. Release the cameras chief, other footage may suddenly appear. My sarcasm aside, mirele, I don't really disagree with your premise. I used to work in a Lebanese restaurant. The cook there was an old Muslim man from Jordan who barely spoke a word of English. Nonetheless, he was an avid fan of poetry, even English poetry, and during breaks he would speak to me in broken English about his plans to compile a book of poems in English and Arabic. I never learned his name, and during my two years of employment there, I only ever called him "Habibi", and that's all he ever called me. Anytime I'd go back into the kitchen to get something to eat, he'd laugh and smile and say "here, take, good eat" in a kindly voice and hand me some extra cheese pie or something. He and I also played chess (though he didn't seem to remember the rules), drank turkish coffee, smoked argile and attempted some form of conversation about his children. He was around 70 or so years old and worked all day from 9 in the morning to nearly midnight with nothing but a few hour break in the afternoon. He prayed three times a day right in the middle of the restaurant, sometimes even as the dishwashers swept around his prayer mat, and he fasted on Ramadan despite his old age and dangers to his health. If this man were to be appointed to the position of Homeland Security Advisory Council, I would love it. Maybe he wouldn't do a very good job, but I would hope his kindness would do some good. Compare this to the particular person appointed, who is in charge of a police department being accused of enforcing Sharia law on Christian missionaries in the region, and maybe you will see the cause for concern. Or maybe I'm just ignorant and hateful. Who am I to say? David, just to let you know. Ronald Haddad is probably a christian arab. I know this judging him by his last name. I am a christian arab as well, and Haddad is well known syrian/lebanese christian family, so don't worry. If it was a muslim, I'd be worried. "Combine that with the idea that Muslims must be preached at "by any means necessary" and you get the toxic witches' brew seen here in the comments on this blog." If I was in a wrong religion I would want OUT. I would want to the true GOD. HELL is REAL my friend. THAT's WHY WE MUST PREACH. "I suspect you'd prefer that the whole apparatus of Homeland Security should be brought to bear down on Dearborn to make life hard on the Muslim residents through a repressive security regime in the name of alleged "Homeland Security." So much for the Constitution." Is a good thing to arrest christians for preaching ?? Is a good thing to appoint people that BREAK the CONSTITUTION ?? You said "In the face of that kind of thinking, there's nothing Muslims (or any other people of good will) can say. Nothing at all. All that can be done is to watch carefully for signs that the stated desire to convert Muslims to Jesus (and eliminate the "Muslim threat" in that manner) doesn't turn into "get rid of the Muslims (by any means necessary)."" Wrong, a lot can be done by Muslims. For one, they can start object to any injustices done by their fellow Muslims or anyone for that matter; You can start by condemming terrorist organizations; you can start by condemming the actions of terrorists;you can start by telling Muslims to treat other people with equal respect and dignity; you can start by making it clear whether you follow the constitution or sharia law. A lot can be done, so far I haven't see you do any. In regards to Christians trying to convert Muslims, what is wrong with that? Aren't Muslims suppose to do Dawah to Christians as well? If you want to be consistent, will you tell us that since you don't like Christians preaching to Muslims, that you don't like Muslims preaching to Christians? Or are you inconsistent and only allow it for Muslims but not Christians, please make that clear. And if you say that Muslims aren't allowed to preach, then would you condemn the Muslims that do? You said "In conclusion, I think that you all believe the only good thing that could happen to Chief Haddad is not that he be appointed to a Homeland Security commission. Rather, I suspect you'd prefer that the whole apparatus of Homeland Security should be brought to bear down on Dearborn to make life hard on the Muslim residents through a repressive security regime in the name of alleged "Homeland Security." So much for the Constitution." The "extremist" is the one with the death threat. The "moderate" is the one who explains what you've done to deserve it. End quote. If you can watch former Respect Party MP George Galloway rile up the muslim men in that clip and still think that an islamic sympathizer should be advising anybody, well, I guess you would just be blind. If you don't cringe at the sound of hate for ALL non-muslims when protesters scream for sharia, well, I guess you would be deaf. If you don't speak out when you feel the pure hate of people who are religiously mandated to cut off your head for resisting allah, well, I guess you would be a mute. Goto 6:05 of the vid. That's why islam sympathizers are dangerous. Did any one hear what the first man said about they hate you in their hearts and pretend to like you to their face because those who do not believe as they do are infidels? These people want to rule the world, the Mores tried it and failed. 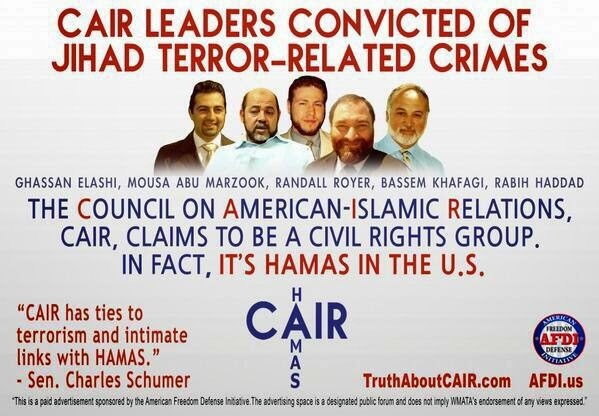 Relentless they are, beware America, they are trying to take our country and to put up a Mosques where they murdered thousands of people is outrageous and to let them do it is treason against our USA. Get them out before we end up like England, France, other northern Europe countries, They are literally taking over. They have warned us on many occasions and no one seems to really give a crap. It makes me sick that we are just handing over our country like this. We're losing it to Mexico and the illegals and the Muslims. Thank you Mr. President. I live in Dearborn and I am a Christian...which about 60-70% of the population is. Your group came to stir up trouble. Dearborn residents get along great with each other and have mutual respect for all faiths. Please stay out of our town if you can't learn to love your fellow man, no matter what his/her faith. Notice the hypocrisy. Greg tells us to "love our fellow man," right after telling us that we are not welcome in Dearborn! So he's intolerant towards us, while complaining that we're intolerant! Is this how Greg loves his fellow man? We went to Dearborn to have discussions with people about our beliefs. Apparently, any such discussions are evil, according to Greg. It seems that Greg is one of the many Dearborn residents who thinks it's appropriate to physically assault us, throw us in jail, violate our Constitutional rights, etc., all because we're not welcome in a United States city. And that's the problem. Greg (and many others) treat Dearborn like it's an exclusive club, where residents get to control what rights people have. Don't such comments make it clear what a massive problem there is in Dearborn? I live in the Bronx. What right do I have to say that American citizens from other cities are not welcome in my city? None whatsoever. But Dearborn is different. Now, Greg, how about providing us with some evidence that what you're saying is true. Let's start with your claim that we were looking for trouble. Where's your proof? Or is it okay to lie in Dearborn as well?